In November 2004, Marc Cote wrote a message to the LetPress e-mail list describing an F.M. 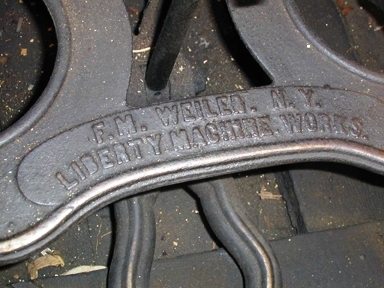 Weiler Liberty press that a church in Boston wanted to sell. "The press does not have much of its original blue and gold color left, but the parts (treadle, wheel, platen) seem to be in very fluid, operable condition. The oldest printed documents that I've seen so far on site are from 1890. I believe the press has been there since the erection of the church. The press was used for baptismal certificates, church circulars and the like." In a follow-up message Marc added, "The press is, unfortunately, up 3 flights of stairs. I've contacted local movers who've tentatively said that they could move it down to the outside of the church." 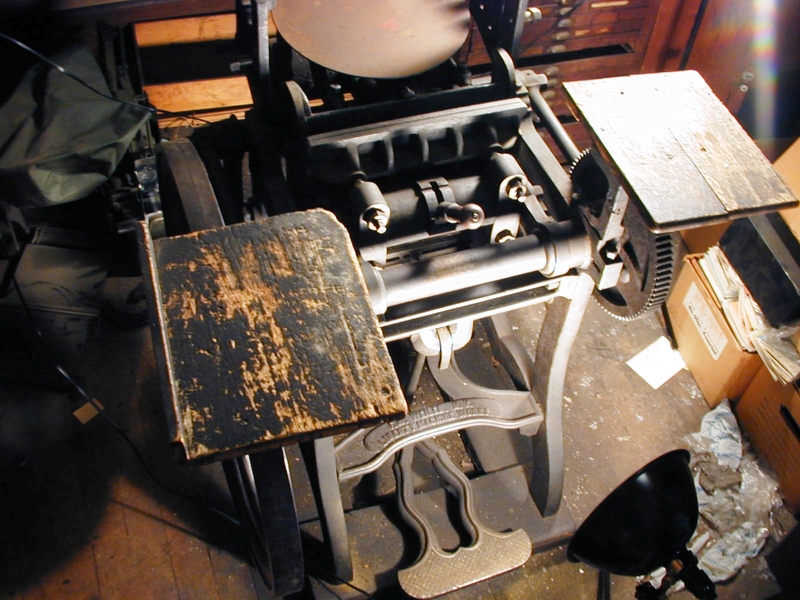 After being located at the First Congregational Church of Hyde Park (address: 6 Webster Street, Boston, MA) for probably all of the 20th century, in late 2004 the press was sold to Paul Aken of the Platen Press Museum in Zion, Illinois. Although it was in a crowded room, Marc took pictures showing many interesting features of the press. 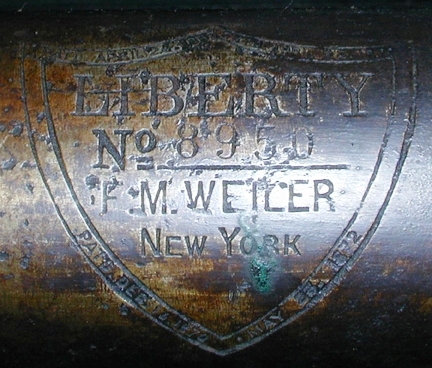 It is similar to the press at History San Jose with the same patent numbers and manufacturer name ("F. M. Weiler, N.Y. Liberty Machine Works"). 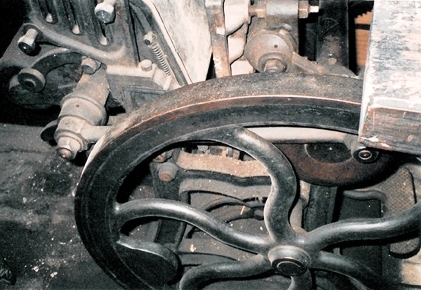 These indicate the press was built after 1877. 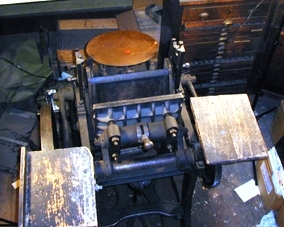 This press has the lowest serial number of any known Liberty press that has a throw-off, which was patented in 1886. 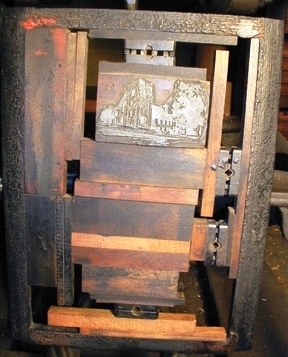 It differs from later Liberty presses (such as Herwig Kempenaers's) with a delivery board only on the left side of the press rather than running behind the platen. Thanks to Marc Cote for the pictures from Boston.